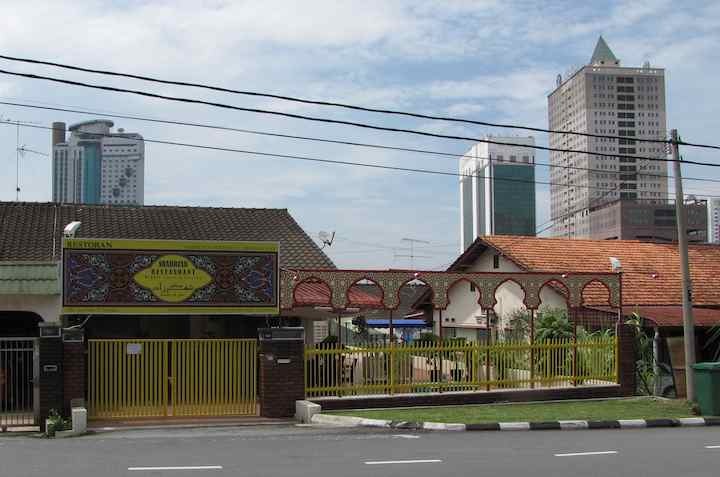 Shahrzad Restaurant is located between KSL Mall and the New York Hotel in downtown Johor Bahru. As you would expect the humus was excellent. 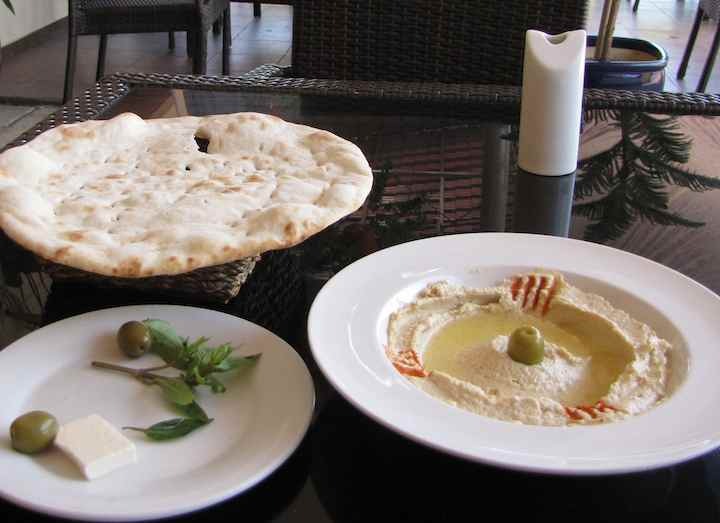 The restaurant offers very good Middle Eastern food. I recommend it. Shahrzad Restaurant with New York Hotel in the background. All photos by John. There is a nice patio with tables and trees and tables inside also.